The nationwide effort, which has circulated on social media for weeks, allows people to register for an alert that will tell them when and where to rally in the event Mueller is fired. Alarmed by rumors that President Donald Trump plans to fire special counsel Robert Mueller in an effort to thwart his investigation into Russian interference in last year’s presidential election, people in hundreds of cities around the country — including Seattle — have begun organizing protests should the rumors prove true. Tacoma, Bainbridge Island and Issaquah are among 19 Washington cities with preplanned protests registered on the website trumpisnotabovethelaw.org. 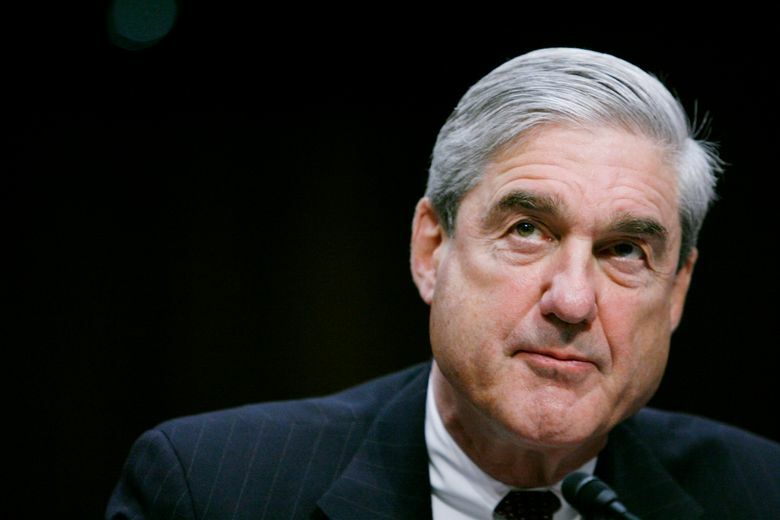 The effort, organized by the progressive group Move­On.org, says Mueller’s firing would trigger a constitutional crisis that should be met with protests large enough to force Congress to act. Trump has said repeatedly that he has no intention of firing Mueller, the former FBI director who was appointed in May to oversee the investigation of Russian tampering. Michael Flynn is one of two people to plead guilty to charges brought by Mueller. Despite Trump’s denials, concern about Mueller’s firing has continued to mount since the issue first became a meme on social media in August, said Kati Wilkins, a public-health consultant who is organizing the local protest through Indivisible Seattle, the largest of about seven local chapters of the progressive activist group dedicated to stopping Trump’s agenda. Wilkins, 32, who sits on the Indivisible Seattle board, said she just happened to be awake on the evening in August when a member of the group posted a meme that called for people to take to the streets if Mueller were to be fired. The poster asked: Who’s up for taking this on? Wilkins volunteered. Wilkins’ Indivisible Seattle chapter has about 8,000 members, many of whom wanted to be able to respond quickly, she said. Organizers said that, as of Friday, about 4,000 people locally have signed up for the alert. “People are afraid he’s going to do a Saturday night massacre,’’ Wilkins said, referring to the firing of Special Prosecutor Archibald Cox who was overseeing the federal criminal investigation of the Watergate break-in and related crimes when President Richard Nixon engineered his firing. Wilkins said the group learned that other groups were organizing similar protests, and decided to list the local protests on the MoveOn site that is sending out the alerts. That message was amplified on the floor of the U.S. Senate on Wednesday when Sen. Mark Warner, D-Va., the top Democrat on the Senate Intelligence Committee, called on his colleagues to deliver “significant consequences” should Trump fire Mueller or pardon those charged. The preplanned “Nobody is Above the Law” rallies could begin within hours or a day of any firing, depending on when news of the firing breaks. Wilkins, who had never before organized a protest, said the group has alerted Seattle police to their protest plans so that they could come up with a safety plan, and has volunteer staff committed to assist to help ensure a safe and peaceful protest.